Japanese Particle KANA: The Definitive Guide I wonder if there are more uses than just "I wonder...?" Look at any Japanese sentence and you'll see a number of characters stuck in between and after all the "proper words," the nouns, adjectives and verbs. These are particles. Their job is to express the relationship of the different words in the sentence, or set a tone for the sentence as a whole. One particularly slippery one is the Japanese particle kana かな（）. It's in the same group as よ, か, and other sentence-ender particles. As I've said, it affects the tone of the sentence. But while よ (assertion) and か (question) are relatively simple, かな has a rich history, loads of different meanings, and a couple of variations. If you can get to know it, you'll have a useful and nuanced tool for your Japanese in the future. I wonder if it is a dog. This isn't necessarily wrong, but there are so many more shades of meaning, as well as different contexts, that can be used. First, though, let's get the hang of what it is we're writing and saying. I Wonder How the Japanese Particle かな Can Help Me? I've already shown you かな's most common form, which is… かな. It's that simple. Some suggest かな is a combination of two existing particles: か and な. か turns a sentence into a question, and な is used like the Japanese particle ね (rhetorical question) with a bit more emphasis, and more casually. な is kind of like saying "Huh, is that so?" if な is the "huh." Plonk them together, and you get the questioning of か with the emotion and implied doubt and consideration of な, leading to a general sense of "wonder." かな does have a kanji form too, which is 哉（かな）. While you can write it in kanji in a normal context, it's much more common to use this form in poetry, which we'll get to below. If you're writing it in a non-poetic context, hiragana かな is fine. There's also a feminine form of かな, for those who like to use such things. That form is かしら, and derives from the same か particle with an odd form of the verb 知る（し　）, to know. Literally, it might be translated as "I don't know whether…," but it has the same meaning as かな nowadays. While かな isn't an especially manly word, you're unlikely to hear a man use かしら. It's more a case of what one person wouldn't use, rather than what they would. かな is a combination of two existing particles: か and な. It's also important to note that かな is considered an informal particle. For a formal equivalent, でしょうか is probably closest, but comes with slightly different meanings and usage. This rule isn't one that's followed strongly, but it's worth bearing in mind if you happen to be invited to tea with the emperor. One last thing: you'll sometimes see and hear the あ sound on the end lengthened. This is generally used for emphasis. If you want to write this, you can choose either かなあ or かなぁ, and if you want to say it then just say it! With technical stuff out of the way, let's get to the really important stuff: how to use かな. Before we start on the different meanings, we'll go through the grammar surrounding かな, so your sentences can be grammatically beautiful as well as meaningful. I wonder if it snowed. I wonder if he reads Tofugu.com. I wonder if it’s human. For times when the tense is important, you can use だった before かな. People will often add の between the two, which sounds a bit more natural. I wonder if it was a company building. In most casual situations, かな is about as simple with nouns as it is with verbs. Just plonk it on the end. While you can use ~ですかな, it's generally only said by old male characters in anime or games. If you're an old man, or want to act like one, this could be useful, but by and large it's not used. Another way you could achieve the same effect is by using the formal form, ~でしょうか. This replaces the ~です (or equivalent) on the end, and has broadly the same meaning as かな but without the casual feel. I wonder if those are my gloves. I wonder if this is a pen. Don't worry if all that looks complicated. Much of the difficulty comes when trying to make かな behave like a formal particle, when in reality it isn't one anyway. Most of the time, you won't need to worry too much about it. I wonder if it’s cold outside. I wonder if the United States really is a free country. Because な adjectives are sort of like nouns, you can use some of the forms mentioned in the noun section, like ですかね and でしょうか with them as well. Also like nouns, it's easier and more common to go without and just put かな at the end. As you can see, the actual use of かな isn't hideously complicated. There are a few rules you need to learn, but it's similar to using any other sentence-ender particle. Here's a handy table you can use to check at a glance if you're using it right, with any kind of sentence. 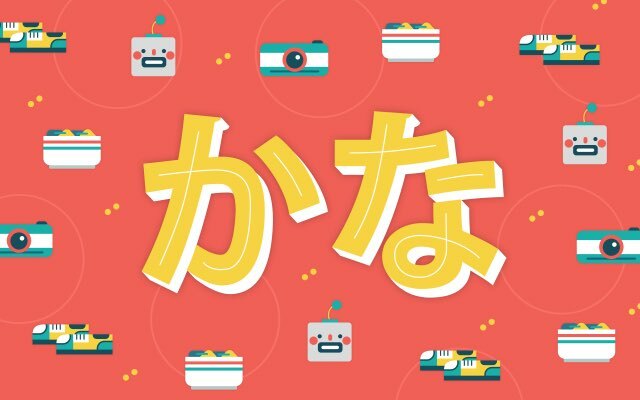 Now that you know how to use かな, we can look at when and why you'll be using it. The examples below are in no particular order, so use your judgement to work the meaning. There's a lot of potential overlap too, so it's be best to see these as the limits of what かな could mean, rather than totally separate senses of the word. That's why we teach Japanese particles with examples. Lots and lots of examples. I wonder why I did such a terrible thing. Students wanting to know how to say "I wonder" in Japanese find the answer quickly in the particle かな. This is the meaning I've been using for all previous examples, and probably the one that most people will know. It's also easy to spot, as it'll come after a simple statement. Unfortunately, just like in English, it can either imply the person speaking knows or has made up their mind, or they haven't. You can use this sense when talking to someone else, but it's often characterized as talking to yourself out loud. The final example is a bit of an outlier: it shows you can also use かな to express regret, as though you were questioning yourself after the event had happened. I wonder if natto is smelly. I wonder who that person is. I wonder if my driving is too fast. This is similar to "wondering," but more commonly used with an assertion-type sentence. It's also used more when talking to someone else, rather than to yourself. As such, it can often be translated like a question, asking someone's advice or opinion. There's a lot of overlap with the above example, but you can see how context will give these a different meaning. Are these shoes (too) expensive? Can I really swim to Japan? Did I eat too much over Christmas? Is it okay if I write like this? What do you think I should give my mom for her 60th birthday? Going on with the theme of "doubt," you can also make it into "hope" with the help of a different grammar construction. If you've got any experience with Japanese hypotheticals and expressions of necessity, you'll know they can be a bit weird: generally they take the negative form even if the translated meaning is positive. That's the case here with hoping. So, make the ending negative with ~ない add かな on the end and you're set! I hope I can memorize all the kanji. I wish my finals were over soon. You can use かな to offer an opinion in a gentle or subtle way, too. This can have the sense of "I don't know whether you should do that," where you're technically showing doubt but really giving your opinion. You could use the sentences above, but direct them at another person, rather than yourself. These can be translated as rhetorical questions, or as "I wonder" or "I don't know…" in English, though none of these are particularly literal. Much like in English, this is often a roundabout way of disagreeing with someone. This is common in speech, and as such intonation is important! Just like there are many ways of saying "I suppose," かな can be taken differently depending on how you say it. Don’t you think the delivery guy gained weight recently? I don’t know if ¥5million is a bit expensive for a camera. "Do you think Koichi didn’t look well today?" ・"[I don’t think so, but] do you think so?" "Speaking of Japanese home cooking, I think nikujaga is the best. "・"Yeah, it’s a classic. My family likes curry rice better though." Why did he say something like that to his mother? There are two ways this can work. The first is often used when talking to children, and has a feeling a bit like "can you?" in the ability sense of the word. Using かな makes things a little bit gentler. Can you put your shoes on by yourself? Koichi, can you eat your greens? If it snows too much, why don’t you ski to your office? The second use is more common with adults, and is a way of suggesting a course of action or activity. A bit like asking someone out on a date, and that sort of thing. For these, it's common to use どう + かな, which makes the translation more like "How would it be if we…?" This isn't always used, though, and it depends on the situation. どう also makes it overtly into a question. Why don’t we go to the seaside? How about we watch a film together? You can use かな to make a request in an informal way. At times like this, the casual nature of かな is important, so don't use this if you're talking to your boss. Keep it with friends and equals. As such, it's also better for small favors, rather than big things. Is there any chance you could help me? I wonder if you could take a photo of me. Can I have a pork katsu curry? Imagine situations in which you're asked or deciding what you want, like ordering food, deciding what to cook… Now that I think of it, most of these examples involve food. I hope you have a sandwich handy while you read these. Food is just an example, though: what's important is it's a way of asking for something or showing you want it in a softer way than shouting "BRING ME KATSU-DON!" at some poor waiter. You can also use this in a 'talking to yourself' kind of way, as shown in the fourth example. For most of these examples, you'll need what's called the volitional form of the verb. でしょう/〜ましょう is actually the polite version, while the casual/plain version is used by changing the verb. Probably the most common is " 行こう（い　）" for "let's go." It's simple when you get your head around it, and is a good way to energetically suggest doing something. This is a tricky form to pin down, and uses grammar you might not be familiar with, so here are lots of examples! I think I’ll have a coffee. I think I’ll cook kimchi hot pot for dinner today. I think I’ll buy the ugly sweater that Koichi has always wanted for his birthday. Hmm, which haiku should I read next? Dad cut his finger off. I suppose we should go to the hospital. I guess I’ll go to bed now. It's a small change when written down, but can sound different in speech, so be sure to pay attention. Poetic senses of about any word are notoriously difficult to translate or explain, and かな is perhaps the king of untranslatability when it comes to haiku. It is what's known as a kireji 切れ字（き　じ）. These are certain words in haiku which signify a turn or significant moment in the poem. Haiku is often all about juxtaposition and linking, so かな will go after one of the images or elements to signify this. In the above example, かな is (partially) used to emphasize the link in the poet's mind between the full moon and a round uchiwa fan. In earlier poetry, like waka, a technique called kakekotoba was often used for these moments. They work a little like puns and work with double meanings and homophones. You can read a bit more about them here. Haiku, importantly, left that behind, and used 切れ字（き　じ） instead. かな isn't the only one, but it's one of the most common. Other 切れ字（き　じ） you might recognize are や and けり. A word in haiku which signifies a turn or significant moment in the poem. Difficult to fit into a translation is the 見れば（み　） part, showing the poet saw this happen. It plays well with かな, though, to give a feeling of doubt that is at the centre of this poem. Moritake is pretty sure he knows what he saw, but knows it can't be possible. かな lets him suggest it was, in fact, a butterfly, but also enjoy the doubt that the creature caused in the first place. These are a few small examples, and will hopefully lead you to do your own reading if you want to explore them further. An advantage of かな being so difficult to translate is that its meaning can be very free. Some see it as literal wonder, some claim it's meaningless. It has also been suggested that placing the 切れ字（き　じ） at the end of a poem gives it a circular structure, so one could return to the first line and keep reading round and round. When it comes to understanding poetry, personal exploration is the way to go, in my opinion. No one's pretending the Japanese particle かな is easy to understand right off the bat. For one thing, there are different senses flying about all over the place, many of which overlap or are ambiguous. But that doesn't mean we shouldn't try. In fact, because かな is so vague it's a rewarding thing to get right, and can be a clear mark of your Japanese ability when it comes to nuance. With it, you can be polite, doubtful, sensitive and humble. And we could all do with a bit more of those. If you'd like a crash course on particles (including かな) check out our Japanese Particles pdf ebook on the Tofugu Store. It's kinda good, we think. Maybe you'll like it too.